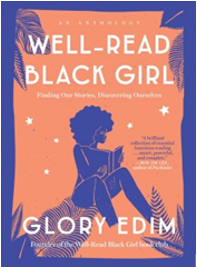 I recently finished reading Well-Read Black Girl by Glory Edim. It’s an anthology of black women writers discussing their experiences growing up and reading books lacking characters and cultural experiences that reflected their own lives. This disparity encouraged them to become writers and to create the stories that DID reflect their community and accurately portrayed the people that make the community what it is. This book prompted me to reflect on my own reading journey growing up and how my diverse reading background has affected my views. There are many stereotypes that perpetuate the idea that black children don’t read. They aren’t exposed to reading at early ages compared to children from other races, and therefore perform at lower rates in school. However, it’s not just that black children aren’t reading, they just aren’t reading enough books that reflect them. Growing up, I was introduced to reading at a young age by my mother. I preferred seeing how fast I could finish a book rather than going outside to play. Although I will say, I did like jumping rope on the sidewalk with my cousins. (Don’t be fooled, a book was always nearby.) I was made fun of for being a ‘nerd’ because I enjoyed reading so much. I’m pretty sure I was the only one who liked the selected summer reading books assigned from school. Before my sister and I could choose our own books, my mother chose them for us. She even made us write book reports. ;/ My mother chose books unrelated to what we read at school assigning, us books like Uncle Tom’s Cabin, The Watsons Go to Birmingham, Sounder, and Roll of Thunder Hear My Cry. 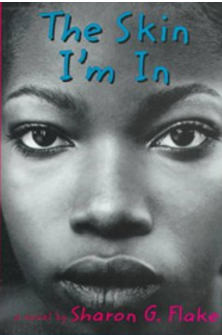 These books portrayed historical experiences from the point of view of young black protagonists. Though they were not particularly my favorite reads, I now appreciate my mother for slowly introducing us to hardships many blacks faced during those time periods. When I got to middle school, I was granted the freedom to choose my own books, and so I read more YA urban fiction. The Bluford High series, the Drama High series, and anything by Ni-Ni Simone were on my personal middle school reading list. My mom absolutely hated the ‘crap’ we were reading, but as long as we were reading, she did not complain. I started to struggle with body image issues in middle school, so I escaped more into reading during that time. When I came across The Skin I’m In by Sharon Flake, I couldn’t put it down. It was probably one of the first relatable books I had read. The main character, Maleeka, struggles with self-esteem issues because of her darker tone and felt like she was not enough to fit in. This lack of self-esteem led her to act out of character and become influenced by a classmate who was a ‘little rough around the edges.’ I, too, often questioned my own appearance and began acting differently to maintain unhealthy friendships. But seeing Maleeka overcome these issues and ultimately accept herself, gave me the courage to do the same. After reading The Skin I’m in, I transitioned away from YA urban fiction and started to read more meaningful books by black writers. By the time I entered high school, I had finished many black literature classics such as Invisible Man by Ralph Ellison, I know why the caged bird sings by Maya Angelou, A Raisin in the Sun by Lorraine Hansberry, and Kindred by Octavia Butler. In some way, I felt connected to all the characters I read about. I love reading how characters face challenging situations and overcome them. I feel inspired, encouraged, and uplifted. The book landscape has changed for the better since I was a child. There are now more picture books, chapter books, and even graphic novels available that reflect the lives of African American children. Representation is important, and I am happy to see the improvement in the publishing industry. 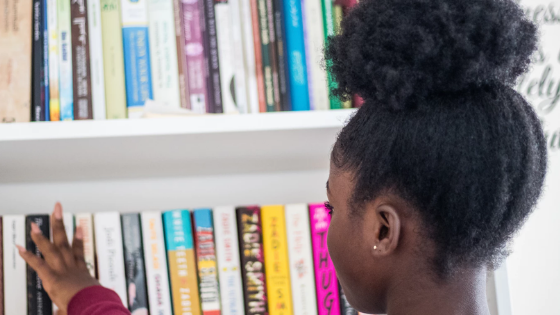 If you are looking for culturally, religious, or LGBTQIA diverse books, NoveList is the perfect place for adults and children alike to search for books they can relate to. A few months ago, we introduced own voices as an appeal term as a way to help patrons find books that reflect the many different marginalized identities. Try using these search strings in the NoveList search box to find books that represent the African American experience. If you’re looking for books that represent other diverse experiences, check out our guidelines on searching by field codes and put together a search that meets the needs of you and your patrons. For teenage girls: GN "Realistic fiction" AND SU "African American teenage girls"
For teenage boys: GN "Realistic fiction" AND SU "African American teenage boys"
You can also check out some of our lists and articles in NoveList to help you find books for patrons from diverse backgrounds. I am still an avid reader. I use NoveList to help me find books that celebrate and challenge who I am. Add some of my recommended reads to your reading list. Looking for more ways to search NoveList for books about a specific experience? Check out our tutorial on finding books by culture or place in NoveList. Latasha Jeter is the Communications Specialist for NoveList.